You can keep your Jeff Becks, Steve Vais and Jimmy Pages if I can keep Nile Rodgers. I enjoyed Nile's book about his trip life and music. There are three acts. Act 1 is his incredibly hardscrabble upbringing. Skip a paragraph and you'll miss Nile being shipped off to a different female relative on a different coast with a different unreliable male. Act 2 is success with Chic and later as a record producer for Diana Ross, David Bowie and Madonna. This part is the most fun with a few gossipy stories. If you skip the drug stories it all speeds along merrily. Act 3 is addiction and redemption. Nile is inspired to get clean when he hears that Keef has done it. Inevitably as soon as he gets out of rehab the first call he gets is from Keef looking for drugs. We don't hear as much as I would like about Bernard Edwards. Nard is there at the beginning of the success story, and his death (almost) concludes the book but in between we don't really get to know him. So this is pretty decent book by a great musician. The Red Hot Chili Peppers may be in in the Rock and Roll Hall of Fame while Chic are not, but I won't be reading any books by them. Keef never mentions it in his book. No surprise there though, Keef pretends that this was Mick/Brenda's crowd while he kept true to his blues/RnB roots! Enjoyed listening to a Nile Rogers interview on R2 a few years back driving back from some training area on a Sunday afternoon. He told a great story about writing Le Freak - originally a foul mouthed rant about getting kicked out of Studio 52 having been invited along by Grace Jones, but she forgot to tell the doorman. Thanks for the comment. 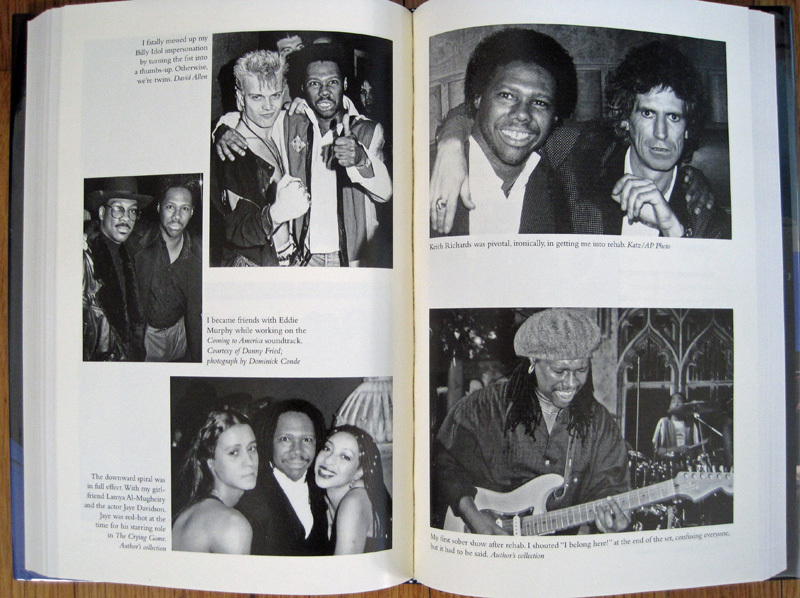 The 'Le Freak' story is in the book. The difference from Keef's book is that Keef seems to remember everything (God knows how) whereas Nile just hits the high points. 'Life' is clearly the better book.